Organoids are three-dimensional (3D) cell cultures that replicate some of the key features of morphology, spatial architecture, and functions of a particular organ. Organoids can be generated from both adult and pluripotent stem cells (PSCs), and complex organoids can also be obtained by combining different types of cells, including differentiated cells. The ability of pluripotent cells to self-organize into organotypic structures containing several cell subtypes specific for a particular organ was used for creating organoids of the brain, eye, kidney, intestine, and other organs. Despite the advantages of using PSCs for obtaining organoids, an essential shortcoming that prevents their widespread use has been a low yield when they are obtained from a PSC monolayer culture and a large variation in size. This leads to great heterogeneity on further differentiation. In this article, we describe our own protocol for generating standardized organoids, with emphasis on a method for generating brain organoids, which allows scaling-up experiments and makes their cultivation less expensive and easier. Russian Text © A. V. Eremeev, E. A. Volovikov, L. D. Shuvalova, A. V. Davidenko, E. A. Khomyakova, M. E. Bogomiakova, O. S. Lebedeva, O. 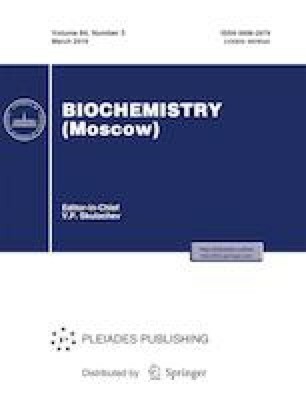 A. Zubkova, M. A. Lagarkova, 2019, published in Biokhimiya, 2019, Vol. 84, No. 3, pp. 448–456.